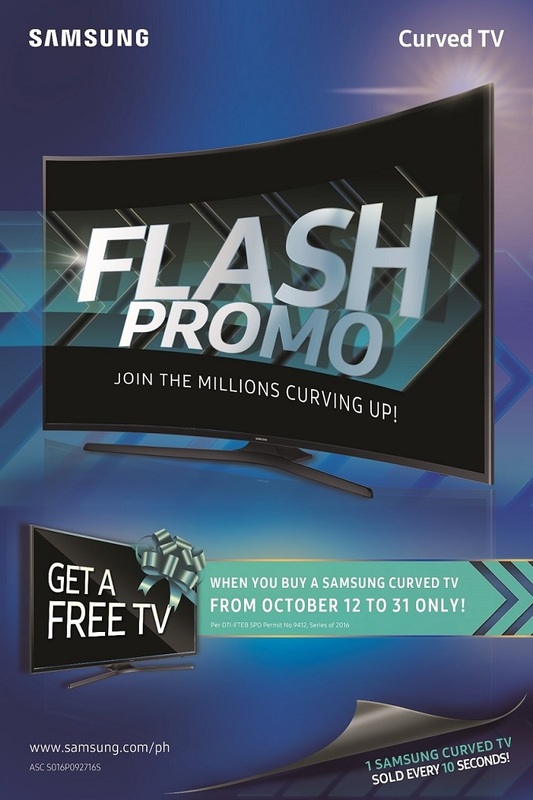 Now is the best time to go own a Samsung Curved TV, as SamsungPH brings back the Samsung Flash Promo. Not only you'lll get the best viewing experience when you get a Samsung Curved TV. Included in the promo is owning a second Samsung HDTV for free! Every 10 seconds, a Samsung Curved TV is sold, allowing customers around the world to uncover a new dimension in TV viewing. From October 12 to 31, more Filipinos can enjoy the immersive viewing experience only a Samsung Curved TV can provide through the Samsung Flash promo. With every purchase of a Samsung Curved TV, get a chance to make a dream vacation come to life through earning Philippine Airlines’ Mabuhay Miles points, subscribe to the latest TV shows with free 1-year iflix subscription, and provide the family with more enjoyable viewing experiences with a free TV. With more than 5M units sold since its launch in 2014, the Samsung Curved TV has redefined the TV industry with its unique benefits that give an instant home entertainment upgrade. Why own a Samsung Curved TV? Samsung Curved TVs provide a more immersive feel, delivering a sense of depth which draws viewers deeper into the show or movie they are watching. Every screen size has ergonomically designed curvature that follows the natural curve of the eye, helping reduce eye strain even after hours of non-stop viewing. Seeing more on screen through its design, viewers experience the wrap-around effect, giving a more enjoyable TV viewing experience. It also features an elegant 360-degree design which makes it a stunning centerpiece in any room. Don’t miss this limited chance to curve up. Head on to the nearest participating Samsung outlet for the Samsung Flash Promo and see why more people are shifting to Samsung Curved TVs. For more details, visit the Samsung Facebook page or log on to samsung.com/ph/offers.